To celebrate the release we have 3 DVD copies to give away. Recently orphaned teen Jordan is sent to live with her aunt and uncle in the small town of Silver Falls. Clashing with her newfound guardians, Jordan develops a burgeoning friendship with a curious classmate that leads to a shocking discovery; according to local legend, two young twins who were killed by their father have cast a dark spell over Silver Falls. When Jordan finds a mysterious ring, the murdered girls' restless spirits begin to shadow her every move. Meanwhile, Jordan's concerned aunt and uncle refer her to a therapist who sees medication and hospitalization as the only solution to her problems. As the frightened teen fights to prove her sanity, a killer draws near. 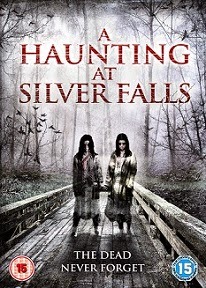 Can Jordan free the twins spirits or will she be the next spirit haunting the small town of Silver Falls?